The Long Island Rough Riders are a Long Island soccer team based in South Huntington. The Rough Riders have two teams: men and women. They play for the Premier Development League (PDL) of the United States and Canada, called the United Soccer Leagues (USL). The Rough Riders began in 1994, and since, have been coming in on top among their division. Players like Jim Rooney, Tony Meola and Giovanni Savarese have played for the Rough Riders then made it into Major League Soccer. Men and women’s games are scheduled from May to July, so make sure you get to a game! The Rough Riders also offer tons of camps and training to send the kids to. And for even more excitement, head out to one of the tournaments where local teams play for classics and cups! The New York Lizards are part of the Major League Lacrosse and have some of the most thrilling of games for spring sports on Long Island. The schedule starts this April and each game is just as exciting as the last. The Lizards play at Shuart Stadium of Hofstra University where there are plenty of fun things to do for each game! 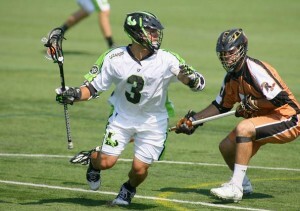 The Lizards host tournaments and summer camps for a chance to learn how to play like the pros. Going to a New York Lizards game is a chance for friends and family to come together and cheer on a lacrosse team like no other. And of course, what would spring be without baseball? 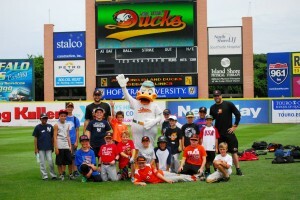 The Long Island Ducks are a staple and there’s always something to do when they’re in season. The games alone are a great time, with giveaways, 7th inning stretch fun and areas to hang out with friends and family. If you’re bored of sitting in the stands, get tickets to one of the viewing areas. The Hebrew National Picnic Area hosts a pre-game barbecue buffet and tons of friends to be made. Or have a family event with the Party Deck tickets, equipped with food and wait service. Celebrate birthdays or fun and enjoy America’s game with the Long Island Ducks! Grab some friends or get the kids together to go out and see the best spring sports on Long Island! The outdoors is just the right remedy for the winter blues. So start brushing off your mitts now and get ready for spring sports! For transportation, feel free to call All Island, and we’ll happily get you to and from the games! Call us at a location near you or make a reservation online!